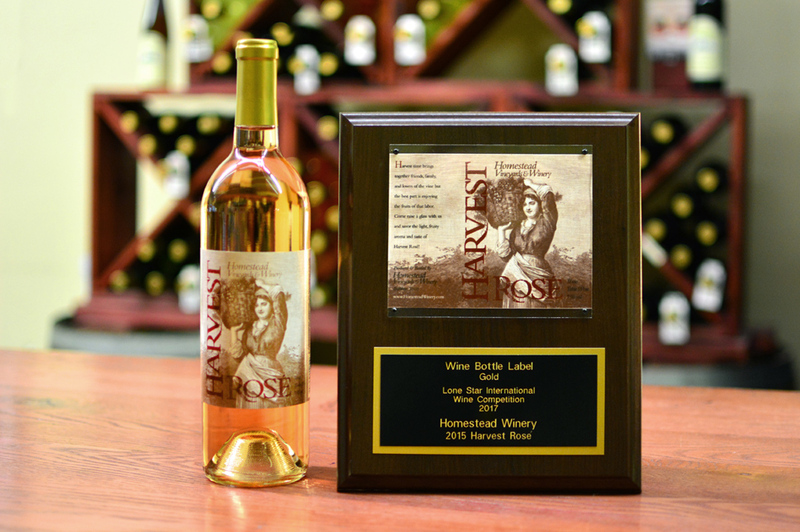 Homestead Winery’s Harvest Rose label uses an old engraving reminiscent of the voluptuous peasant women that supposedly worked the vineyards of Ivanhoe back in their early days. I never saw any of these fair maidens myself though. This 3-color imprint won one of two gold metals we received in the 2017 Lone Star International Wine Competition for label design!